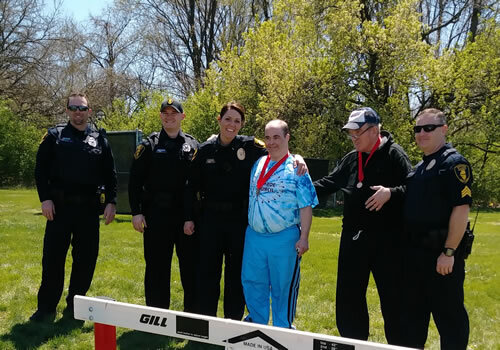 On April 28, we were proud to watch our team of athletes compete in the Spring Games for Special Olympics Illinois — including one champ who showed us all what it means to persevere. This athlete fell during her race and was technically disqualified. But she got up, brushed off her injuries, and finished her event! In our book, that’s winning. We also brought home nine gold medals, 10 silvers and eight bronzes. Way to go, team! We love watching as our HSS clients push their limits and celebrate their achievements. Special Olympics competitions are much-anticipated events for many of the adults who participate in our adult day training program or reside in our supportive housing program. Through these events, people find courage and confidence and develop new strengths. Special Olympics, which is now in 170 countries around the world, actually began right here in Illinois. The first games were held at Soldier Field in July 1968 thanks to the efforts of Eunice Kennedy Shriver and her peers. There are now more than 4.5 million athletes around the world. 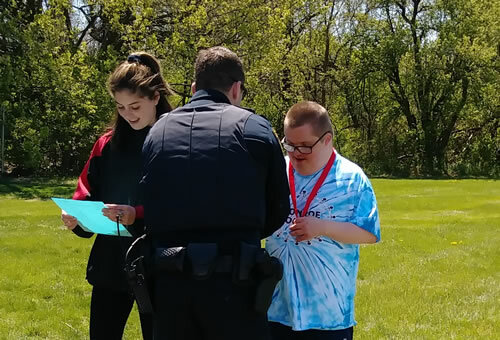 Special Olympics Illinois hosts 19 Spring Games throughout the state, with almost 10,000 athletes competing over three weeks. 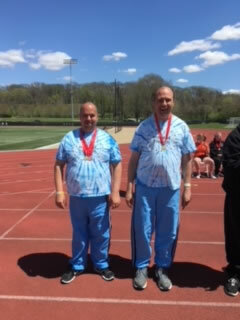 This year, our region’s Spring Games were held at Southern Illinois University at Edwardsville. The weather cooperated, even though it was a little chilly. But we took that as another lesson in fortitude! Even our athletes who didn’t receive medals were brave in their attempts! We also had seven fourth-place winners, seven fifth-place winners, five sixth-place winners and one seventh-place winner. Our gold medal winners will compete in the State Games on June 15-17. We will keep you updated!